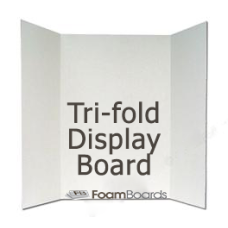 TRI-FOLD DISPLAY BOARD 48" X 36"
A Tri-fold Display Board with a single 36" x 24" (915 x 610mm) Centre panel and SIDE panels that fold in to enable free standing. 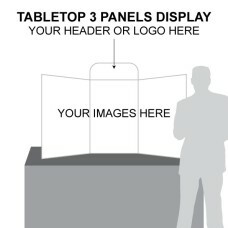 Ideal for school science projects and other displays. 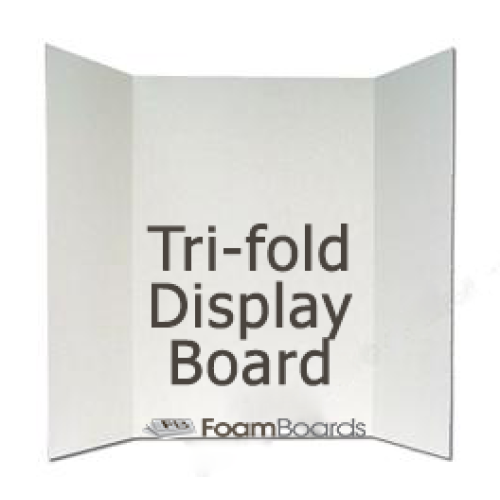 School Project Trifold Display Board - Display Board - Make School Projects Look Great - Paint, Draw..
Table Top - TRI-FOLD DISPLAY BOARD 1480 x 980mmA Table Top Tri-fold Display Board with a single ..